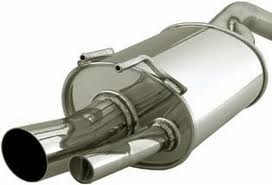 On 25 March 2014, the European Commission announced that it had conducted dawn raids at the premises of a number of car exhaust companies, based in several EU Member States. A full list of the companies has not been released, however, French company Faurecia, US company Tenneco Inc. and German company Eberspächer confirmed that they had been raided. Reports have suggested that Tenneco Inc. has also received a sub poena from the US Department of Justice, Antitrust Division. The raids appear to relate to suspicion that the companies may have violated EU rules on cartel activity and restrictive business practices. Faurecia, which is 52% owned by PSA Peugeot Citroen, has confirmed that it is fully cooperating with the Commission. As reported in an earlier blog, the car industry faces numerous antitrust investagations globally, with as many as 70 companies involved. On 18 March 2014, MEPs and European Council representatives agreed on the terms of a new proposed directive on antitrust damages. The measure, which is expected to become law before the European elections in May 2014, is intended to make it easier for victims of cartel activity to claim compensation. Decisions of national competition authorities will constitute full proof before civil courts that the infringement occurred. Clear limitation period rules will be established. Victims will be able to obtain full compensation for lost profits as well as actual loss suffered. Victims will have easier access to evidence to pursue cases. On 18 March 2014 Italy’s Competition Authority, the Autorità Garante della Concorrenza e del Mercato (“AGCM”), announced the launch of a bid-rigging investigation into Chef Express S.p.A. and My Chef Ristorazione Commerciale S.p.A. Both companies manage motorway service restaurants. The independent company managing the submission process for tenders drew the attention of the authorities to evidence of collusion. According to the AGCM, evidence indicated that the two companies had colluded on bids for 16 of the 43 licences available. It has been alleged that they intended to take 8 licences each. The investigation is the latest in a series of probes into bid-rigging in Italy. The rail sector is one of the more prominent recent investigations. For the last 15 years, Italy’s motorway service restaurants have been controlled by Autogrill, which is majority owned by the company that runs Italy’s motorways, Autostrade. Both are controlled by the Benetton family. 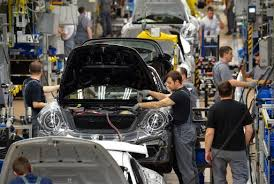 On 19 March 2014, the European Commission announced the imposition of fines totalling € 953 306 000 on two European companies (SKF and Schaeffler) and four Japanese companies (JTEKT, NSK, NFC and NTN with its French subsidiary NTN-SNR) for participating in a cartel in automotive bearings market from April 2004 until July 2011. The Commission found that the companies coordinated the passing-on of steel price increases to their customers, colluded on Requests for Quotations and for Annual Price Reductions from customers and exchanged commercially sensitive information. This occurred through multi-, tri- and bilateral contacts. The size of the EU market for automotive bearings is estimated to be at least € 2 billion a year. Japanese company JTEKT was not fined as it benefited from immunity under the Commission’s 2006 Leniency Notice for revealing the existence of the cartel to the Commission. NSK, NFC, SKF and Schaeffler received reductions of their fines for their co-operation in the investigation under the Commission’s leniency programme. Since all companies agreed to settle the case with the Commission, their fines were further reduced by 10%. The decision is part of a major investigative effort into suspected cartels in the automotive parts industry. The Commission has pursued cartel activity in several sectors of the industry, including wire harnesses in cars (IP/13/673) and flexible foam used in car seats (IP/14/88). 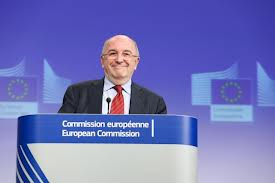 The Commission announced on 19 March 2014 that it is investigating more products, such as airbags, safety belts and steering wheels (see MEMO/11/395), air conditioning and engine cooling products (see MEMO/12/563) and lighting systems. On 23rd December 2013, the Korean antitrust regulator, the Korea Fair Trade Commission (“KFTC”), imposed fines of 114.6 billion won (approximately US$108 million) on a number of auto parts suppliers, including Japan’s Denso Corporation and Germany’s Bosch and Continental AG. The charges related to the fixing of prices for car instrument panels and wipers, in particular those sold to Hyundai and its affiliate, Kia Motors. The FTC has estimated that price collusion has affected the cost of around 11 million units. The parts in question account for approximately 0.5% of the price of the car. The largest fine, 63 billion won, was imposed on the Denso Corporation, which was accused of fixing prices between January 2008 and March 2012, initially with Continental AG and then with Bosch. The FTC found that price collusion led to a sharp increase in price estimates provided by the suppliers. Continental AG and Bosch have been fined 46 billion and 5.6 billion won respectively. The U.S. Justice Department and antitrust enforcers worldwide have been investigating price-fixing by around 20 companies and 21 executives in the automotive industry. To date, the corporations in question have agreed to pay $1.6 billion in fines. On Friday 6th December 2013 Judge Daniel R. Dominguez of the US District Court of Puerto Rico in San Juan handed down the longest sentence in US history for a single antitrust charge. Frank Peake, the former president of Sea Star Line LLC, was sentenced to serve five years in prison and to pay a $25,000 criminal fine for his participation in what the indictment described as a conspiracy to fix rates and surcharges for freight transported by water between the continental United States and Puerto Rico. Reports have quoted the Department of Justice as asserting that Peake and his co-conspirators conspired to fix, stabilise and maintain rates and surcharges for Puerto Rico freight services, to allocate customers between them and to rig bids submitted to customers. Peake was involved in the conspiracy from at least late 2005 until at least April 2008. As a result of an ongoing Department of Justice investigation, the three largest water freight carriers serving routes between the continental United States and Puerto Rico, including Peake’s former employer Sea Star, have pleaded guilty and been ordered to pay more than $46 million in criminal fines for their roles in the conspiracy. 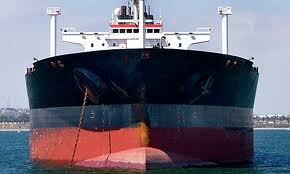 Sea Star pleaded guilty on 20th December 2011, and was sentenced by Judge Dominguez to pay a $14.2 million criminal fine. Sea Star transports a variety of cargo shipments, such as heavy equipment, perishable food items, medicines and consumer goods, on scheduled ocean voyages between the continental United States and Puerto Rico. Custodial sentences have been handed down to five other individuals. Additionally, Thomas Farmer, the former vice president of price and yield management of Crowley Liner Services, was indicted in March 2013 for his role in the conspiracy and is scheduled to go to trial in May 2014. On 4th November 2013, the US Senate unanimously passed legislation to extend whistleblower protection for employees providing information to the Department of Justice relating to criminal antitrust violations. 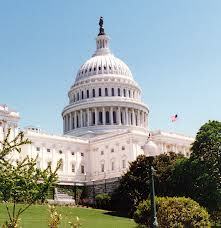 The recent Bill was based on a report released in July 2011 by the US Government Accountability Office. It adds a civil remedy for those who have been fired, or otherwise discriminated against, after blowing the whistle on criminal antitrust activity. Employees who believe they are victims of retaliation may file complaints with the Secretary of Labor. The new Act provides for those employees to be reinstated to their former status if the Secretary of Labor finds in their favor. Senator Leahy commented that “The Criminal Antitrust Anti-Retaliation Act does not provide employees with an economic incentive to report violations. The legislation simply makes whole employees who have been fired or discriminated against for blowing the whistle on criminal conduct.” Critics of the measure have pointed to the absence of an economic incentive as an obstacle to the effectiveness of the legislation. Commentators have pointed to the case of Marty McNulty as exemplifying the kind of injustice that Leahy and Grassley’s Bill is intended to eliminate. In 2005, McNulty claimed to have discovered that his employer, Arctic Glacier International, had agreed with Home City Ice to keep the prices of its packaged ice artificially high. He repeated the allegation to the FBI. Both companies were ordered to pay $9 million in fines. McNulty was fired and claimed to have been blackballed within the industry. Supporters of the new measure point out that McNulty would have both kept his job and been able to claim for damages suffered in the process.